- Kit includes Heat HubR and smart room thermostat - change temperatures and set schedules from your smartphone. - This one-channel kit is suitable for combination boilers. - Heat HubR fits directly onto your UK standard wallplate for simple installation. - Wiser is not suitable for gravity-fed systems. 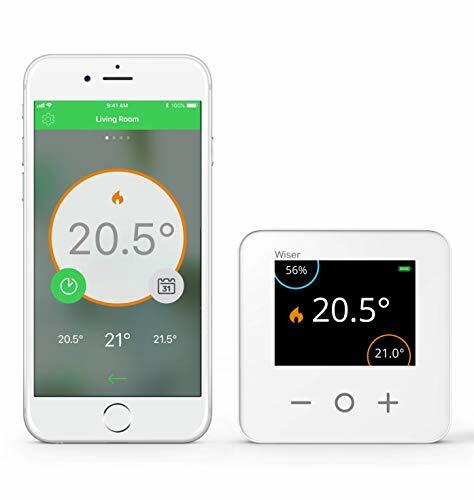 - Add smart radiator thermostats to your system (available separately or as part of Multizone kits) for individual room control.